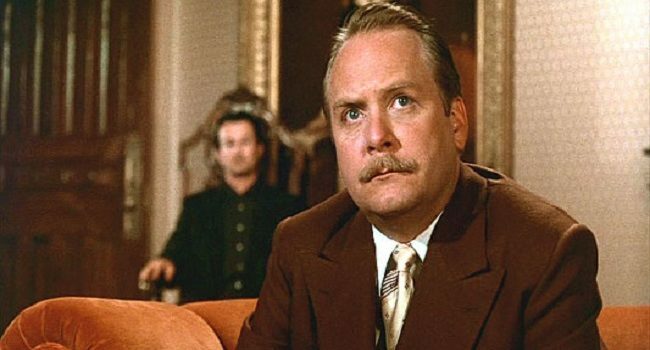 In Clue, Colonel Mustard (Martin Mull) is a guest of Mr. Boddy’s who’s being blackmailed for war profiteering. It’s revealed that he made his money from selling stolen radios on the black market, as well as having an affair with one of Miss Scarlet’s escorts. In one of the endings, he killed a stranded motorist in the lounge with a wrench.